The state of Virginia may not be leading the country in solar, but it is a place where solar is growing in a major way. There is a lot in the news about large VA energy companies diversifying into solar — for example, Dominion Energy purchasing solar farms all around Virginia and North Carolina. However, small residential and business solar is on the rise, too. Here are some of the favorable conditions that business leaders and homeowners can take advantage of in the state of Virginia. With net metering, surplus generation of energy gets credited to the owner of the solar installation on a utility bill. Those who buy solar energy generating systems can take a cumulative surplus and carry it over, or sell electricity back to a utility at a certain point in time. Net metering is one of the biggest draws for Virginia residents wanting to install new solar systems on their properties. Virginia’s grid also makes it somewhat easy to connect solar to the system. Outside auditors have given the state a top grade in its interconnection infrastructure, and with the big utilities exploring solar even more, it’s not going to be long before the entire state grid is very conducive to renewable energy generation. That’s another reason why it might make sense to get involved in a solar project right now. 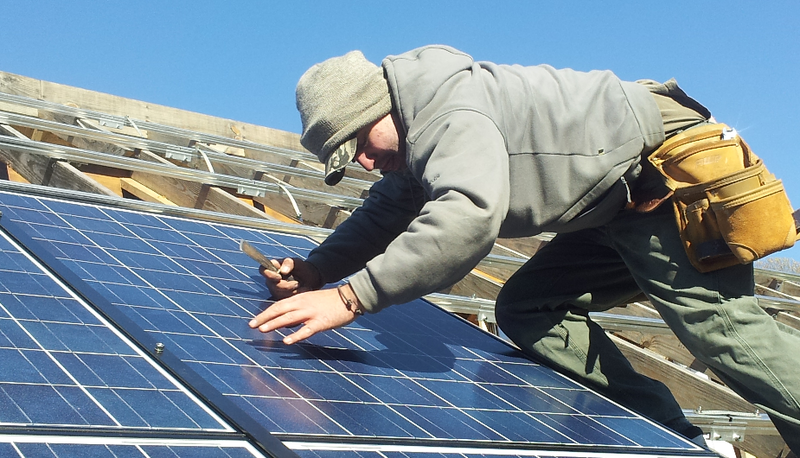 Here’s another interesting way that Virginia residents benefit from solar installations. Usually, any value that you add to your home or business gets taxed in addition to the property’s original value, but Virginia lawmakers have carved out an exemption for solar systems. State officials will take a certain valuation and apply it to property’s solar systems to exempt certain amounts from property tax collection. This can be a big deal if you live in a community with relatively high real estate or “school” taxes. These are just some of the reasons why Virginia residents are picking up on the pros of switching to a solar home or small business energy system. Let Sun Day Solar help you to evaluate your property in Charlottesville, Virginia or in the Albemarle County area. We know how to help clients find the most affordable and efficient way forward with getting a plan in place to collect green energy from the sun!